This home is maintained in pristine condition. The large open great room features a kitchen which is ideally designed for entertaining. The multilevel island in the center of the kitchen will accommodate 1/2 dozen bar stools for those keeping company with the chefs. The over-sized living area offers a flat screen television and two queen Murphy Beds for extra sleeping. This level of the home also offers two king bedrooms with private baths and a 1/2 bath which services the common area. There is a large covered deck which overlooks the pool. The lower lever which features two king bedrooms, additional living area, kitchenette and one bath is accessed by a separate entrance from the main level. There is a large elevated sun deck on the west side of the pool and a tiki bar on the east side of the pool. There are also three AstroTurf putting greens in the fenced yard. The pool is heated during the day in the winter months (additional fee, based upon guest request). This vacation home has so much to offer you may not want to leave when the week is over! We have rental this unit many Times and always enjoyed it. The kitchen and living room are great for our family to cook and eat together. Large counter area with plenty bar seating. It’s where we end up at every night, there and on the outside deck. No houses behind it so pool area is really quite private. Thank you for your review of 906 Panferio Drive. We're so happy to hear that you enjoyed your stay! We look forward to your return in the future. Family Reunion First Class accommodations! From our arrival at Paradise Rental's until check out, the managers and service person could not have been more accommodating!! The house was so well equipped, and the drawers and cabinets marked with their contents, that al you had to bring is food, napkins, toilet paper and enjoy your stay. Very roomy, very comfortable, extraordinarily clean, Great Stay. Thank you for posting your review. 906 Panferio is a wonderful home and we're so glad you enjoyed your stay with us! We hope to see you again soon! Most well stocked kitchen of any rental we have stayed in. Main floor is setup very well and love that each of the two rooms have their own on suite us a powder room. Blue room had great pillows but the bed frame isn't supporting the bed on one side anymore (easy fix) still wasn't uncomfortable. Television in blue room doesnt work but we weren't in there a lot so wasn't an issue for us. DVD player for living room would have been nice for kids. Pool was great! Propane grill also great! My friends stayed on lower level and said it isn't as nice as main floor but good accommodations. Proximity to beach was great! Parents got their truck stuck in sand and the guys at the firehouse were happy to lend us a tow strap. Thanks guys! Would definitely stay here again! A great property we have enjoyed twice now. The home is clean, nicely furnished, and comfortable. We especially like the downstairs apartment. The only downside was the decking was beginning to splinter. Would not recommend walking on it barefoot until repaired. Thank you for your review. We are glad to hear you enjoyed your stay at 906 Panferio and have passed along your feedback regarding the decking to the homeowner. 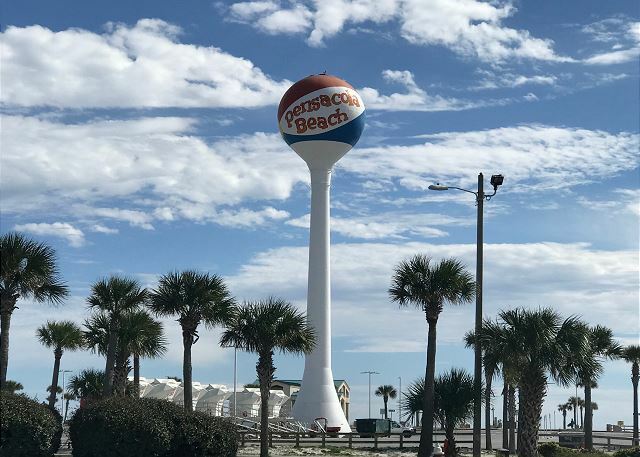 We look forward to seeing you on your next visit to Pensacola Beach! House was well maintained. Pool was clean. Only a few blocks from the beach. The beds were comfortable. Will be staying here again!!!! 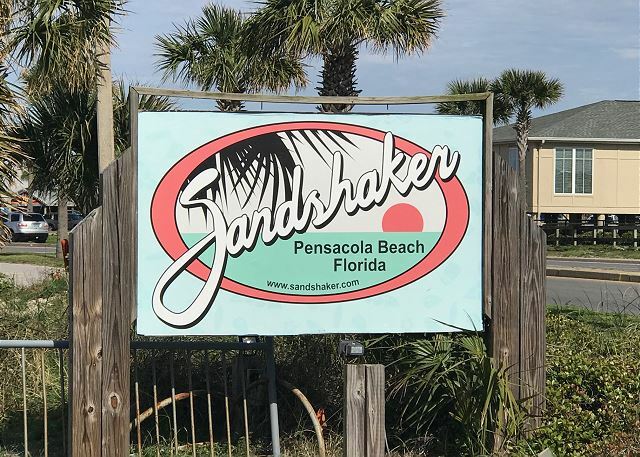 We are so glad to hear you enjoyed your stay at Panferio 906 and look forward to seeing you again on your next trip to Pensacola Beach! Our group of 6 adults and 3 children was pleased with this vacation rental. It was clean, well supplied, and comfortable. It was presented accurately in the property description. There are 2 bedrooms in the main living space upstairs and 2 bedroom in a converted space downstairs, which is accessible as a separate apartment. Although it can sleep 12-16, that would be stretching the limit for comfort. The kitchen allowed us to have family dinner together in the large dining area. We were happy with this rental. We walked to both the Gulf and the bay side and enjoyed the Blue Angels' practice session on the Naval Air Station. October is great time of year to visit. Our vacation experience was great! Great location and large visiting area. Loved that we could sit on the deck while it rained and not get wet. Paradise Beach Homes is awesome to work with. They are understanding, helpful and kind. They make the rental process so easy and stress free. My family and friends traveled from CT, MA, GA to attend my son's wedding on 6/24/17. We had a great time in Florida and a great stay at the Blue Marlin. The pool was awesome and there was enough space for everyone! The rental staff was very accommodating with all the flight issues with Delta the week I was traveling flights being cancelled and delayed when I contacted the rental office they were very nice and even waited until I finally arrived a bit after closing I truly was relieved. And The House was so very nice and roomy all the guest enjoyed the home . Overall The house was clean and well appointed for our group of 15 women. We enjoyed all of the space throughout the house, inside & out, for eating, playing games, etc. We did have a couple of issues... the sofa in the downstairs area should really be considered a one-sleeper, not two. When you pull out the sofa bed, the mattress is extremely thin and really unusable. Outside the concrete around the pool area is broken and protruding in spots. The tiki bar area has several elevation changes that make it a little unsafe as well. All in all, it's a great house for a large group. We would definitely stay again. Nice location ... not too far from the beach, quiet, well maintained, very comfortable. Nice pool. Upstairs really nice downstairs not so much! This house should be advertised as two separate rentals with a shared pool, because that's what it is. The upstairs is really nice with two separate bed and baths, a half bath, living area and nice large kitchen! Air-conditioner worked great. Downstairs had a separate entrance only accessible by going outside and everything was subpar down there. Barely any air at all felt like a hot dungeon! Loved the large, open main area! Great for the whole group to eat and be together. Plenty of sleeping space for a large group. Interior of the home seemed to be cared for however the pool area left a lot to be desired. It was filthy when we arrived on Saturday and the issue was not resolved until late afternoon Monday. Very disappointing! Many of the outdoor chairs are broken and need replaced, and the concrete around the pool is cracked and uneven. Pool liner needs to be scrubbed at the very least and probably replaced. The house was perfect for our vacation. The separate apartment downstairs with two bedrooms and the kitchenette / living area was perfect for our two older boys. The Murphy beds were a treat for our younger girls! The spacious living areas and decks were perfect for everyone to hang out. And the two masters were exactly what each couple needed. We hope to return again! Awesome & Very Spacious Home! The home is exactly how it was described; the photos do not give the property justice though. The home was clean and well-maintained and is very spacious; everyone had plenty of room to move around and sleep comfortably. Our family spent the majority of the time in the pool, relaxing on the back deck & hanging out at the beach. The distance from the home to the beach is very close; my kids had an awesome time! We will be returning to this home again & I would definitely recommend this property to friends and relatives. The house was amazing! Perfect location, great views, very spacious (enough to support a large group of 12), and a great pool! The management company was also great and flexible! The only issue was that a few beds could use a replacement, as I slept on a pull out couch, and was not able to get a good night's rest at any point during my stay! However, the house made up for that! This house was exactly what we were looking for. All pictures are accurate and the house was clean. The only down side I would say is to get to the down stairs bedrooms you have to go outside. Overall great house. 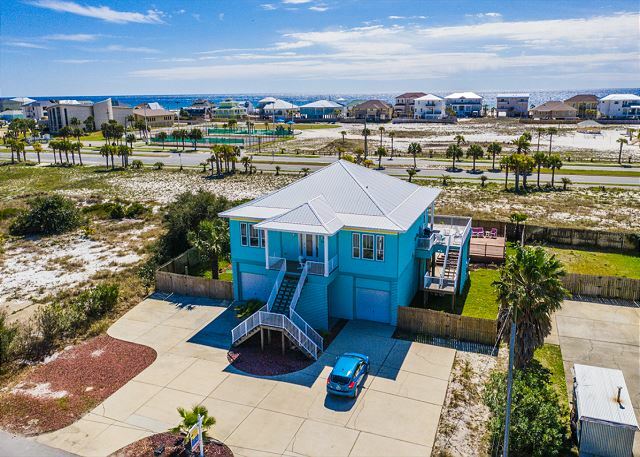 We got married on Pensacola Beach and rented this house for our wedding weekend. It was spacious enough and had a view of the gulf from the balcony. We would definitely consider rented this house again! We had a wonderful time with my three children and their families. The location was ideal, not only to see the 4th of July fireworks from the deck, but to also be able to watch the Blue Angels Airshow from the deck. The house met all of our expectations and the pool in the backyard was wonderful and kept clean and full. My 2 concerns were the kitchen appliances that need repair (reported to office) and the need for a deep cleaning. It is one of 3 homes to be cleaned between 10AM and 5PM and on the surface it looks okay. However it does need a general maintenance and cleaning that cannot be done in that short of time. The pool was nice, but the waterfall only worked one day we were there. We were told there was a leak. The floors in the home were very dirty (the bottoms of our feet were black if we didn't wear shoes inside), the toilet in our bathroom was dirty, the refrigerator wasn't working when we arrived (a repairman was dispatched promptly, and they did replace it with a new one the next day when it couldn't be repaired), the dishwasher had a broken rack, two bathroom sinks were stopped up, there were broken chairs in the dining and living room, there was trash strewn about the yard (cigarette butts, straws, etc.). We were not aware that the bottom of the home was not connected on the inside to the upstairs. Half the family felt separated by this, as they had to use an outside staircase to come upstairs. We did enjoy the spacious family room and kitchen area and the porch. The view was great. However, both doors leading out onto the deck were extremely hard to open, and the handle on the outside of the sliding glass door was broken off. There were many TVs and the beds were comfortable. The pull down beds in the living room were really nice too. Our kids enjoyed those. It was also nice having two laundry centers. We did enjoy the pool, and spent most of our time in it. Someone came every day and made sure the pool was clean. The area the home is located was nice, and we were away from the busy area near the pier, but not far to drive to go eat at some of the local restaurants. Beach was beautiful and not far to walk to. We enjoyed our stay, but wish the home was kept up more. Overall we enjoyed our stay. The location is great and the house is roomy. The house was not as clean as the last time we stayed there. There were broken bar stools we could not use, the iron did not work, there were outside lights that did not work, one commode ran constantly, it did not appear the floor had been mopped in a while. We found the Blue Marlin online while searching for a comfortable beach house for about a dozen family and friends in town over Easter weekend for my son's wedding. From the first conversation with the owner (Jodi), to the final checkout, our experience was very pleasant and welcoming. The property was exactly as advertised. We particularly liked the large common living room/kitchen area since we hosted several functions with up to 30 guests. The large outside decks were also a plus. Bottom line...this was a great place to stay. My husband and I stayed the weekend with several family members since we were there for a weekend filled with wedding activities. The home is very well maintained and has a lot to offer. Only downside is that you have to access 2 of the bedrooms on the lower level from the outside. 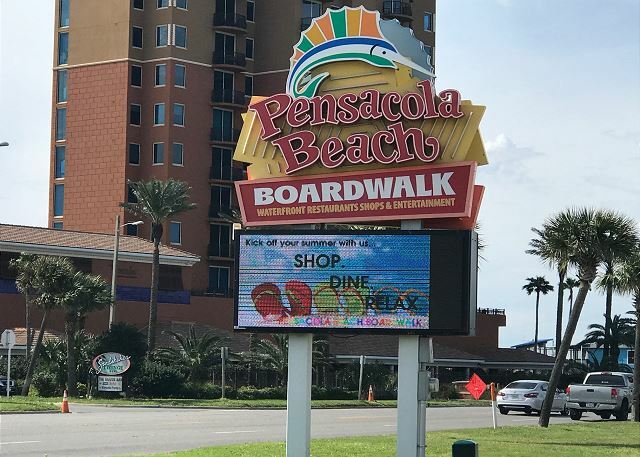 We all had a fantastic time, the location is only a few minute walk from the beach, and plan to return Pensacola Beach every year as a group. It is so much nicer to stay in a home that has all the features of your own home versus a hotel. We were very pleased with the ease of securing the home and the professionalism of the rental agency. I highly recommend staying here. Enjoyed our stay in the house. The large upstair's room was nice for everyone to enjoy each other without feeling contrained. House was clean and the location was excelent. Pool concrete needs repair, several slabs have broken and pose a trip hazard. Door locks are difficult to use with key. Keys may be the issue. Outside of house look good, but will need to be pressured washed soon, dirt and mold. Overall, very much enjoyed the stay and look forward to future visits. This is a beautiful house, and we found that it had practically everything we needed. The spacious kitchen was completely stocked with bowls, pans, pots, serving dishes... you name it they had it. The upstairs is amazing, has a wonderful view and an awesome porch. The pool was really nice. We would go to the beach and then come back and swim in the pool. We also used the put put greens - the kids loved those. We were disappointed that there was no ping pong table in the garage as was shown in the listing. The only negatives I have are that the floors were pretty dirty. When we walked barefoot the very first day all of our feet got dirty and turned/brown black on the bottom. The downstairs bedrooms are completely separate from the top bedrooms and you have to go all the way around the house outside to get to those. This may have been mentioned in the advertisement, but if it was we missed it. The downstairs apartment isn't nearly as decorated or cozy as the upstairs. Having said that, however, the family that stayed downstairs really enjoyed their stay. There is one room downstairs that has no windows in it, perfect if you are a late sleeper. When I opened the fence gate on the left of the house the fence gate fell completely off and almost landed on my 6 year old. Thankfully it didn't. I called the rental office and it was promptly fixed. I believe they would have had the floors cleaned as well if I had told them about that, but it wasn't a huge deal to us. Overall I would highly recommend The Blue Marlin. It is within walking distance of the beach, and the pool is awesome! Couldnt have asked for Better!!! We just got home this week from staying at week at this house. It was awesome. My family had the best time. The pool was great. The house had enough room for all of us. The pool was big enough for everyone to be in. The beach was right across the street. The house had everything we needed. Would love to stay again. With us just going there to relax, this house was perfect. We stayed in the pool and on the deck pretty much the whole week with out having to get out of the house to do anything. It was the best vacation we have had as a whole family. Nice home but lower level and main level are not connected!! The Blue Marlin was clean, well-cared for (on the main level), and overall a good experience. However... no where in the description does it tell you that the main level and the lower level are not connected. You have to walk outside and down the steps to get to the other two bedrooms. This was a pretty big issue for us since we planned on having 5 young kids share those two rooms. We were able to trust the 8-10 year olds to sleep there alone (and to lock the door! ), but there was no way the 4 & 6 year olds could be trusted to sleep down there without parents (and just outside the pool). I just can't believe this wasn't described in the details! Also, the lower level is a converted basement or garage of some sort. If you were chosen to sleep down there, you would be getting the short-end of the stick! It has a large bathroom but random, limited furniture (some falling a part) and a table with one chair. It was completely different than the very nice main level. The pool was great, but it turned everyone green by day two. Green hair, green swimsuits, and green bodies here and there. The maintenance guy added some PH, but we have no idea if it helped since we were already green! I haven't been able to get it out of our swimsuits yet. Lastly, don't plan on playing ping pong (as the table is no longer there). And don't plan on using the tiki bar (as there r no bar stools, and you will prob get a splinter). The owner was super nice and recommended restaurants, etc. Just beware of the above to be sure it fits your family's needs! I could only recommend this property if your guests consisted of mostly teens and adults. 906 Panferio is a fantastic house with a wonderful owner! We had a flawless experience with booking the house and on arrival. Further, the homeowner was very welcoming and assisted us as needed. We also had an event at the house - the space is much larger than it seems, with ample space for a sizeable event. We had approximately 55 people and there was plenty of room to spare. Finally, although it is not directly on the beach, the walk is quick and the beach is very accessible!